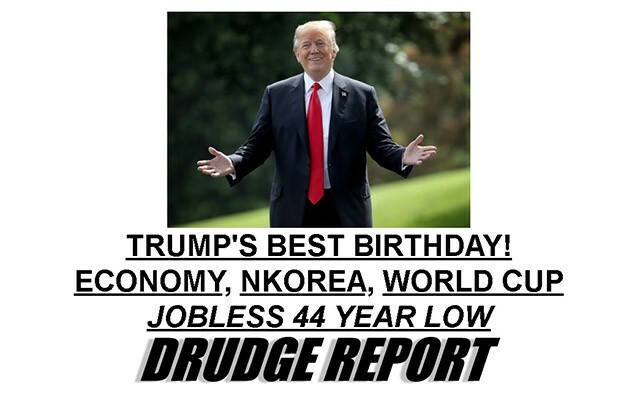 Donald Trump praised media pioneer Matt Drudge, founder of the traffic juggernaut the Drudge Report, on Friday for his presentation of positive economic news on the president’s birthday. “I saw that in very big letters and that makes me very proud,” he added. The Drudge Report’s lead headlines on Thursday, June 14, 2018. “New applications for U.S. unemployment benefits unexpectedly fell last week and the number of Americans on jobless rolls declined to a near 44½-year low, pointing to a rapidly tightening labor market. Initial claims for state unemployment benefits dropped 4,000 to a seasonally adjusted 218,000 for the week ended June 9, the Labor Department said on Thursday,” CNBC reports. 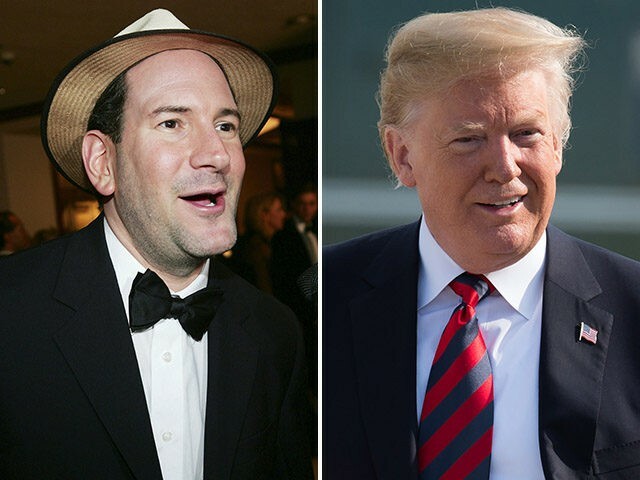 Drudge is widely credited to have been one of Donald Trump’s most powerful media boosters during the 2016 presidential campaign.